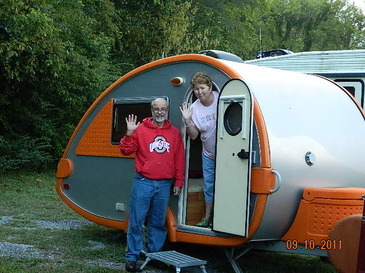 Back in October 2009, a couple of rookie campers had just bought a new T@B and were ready for their first weekend of camping in it. 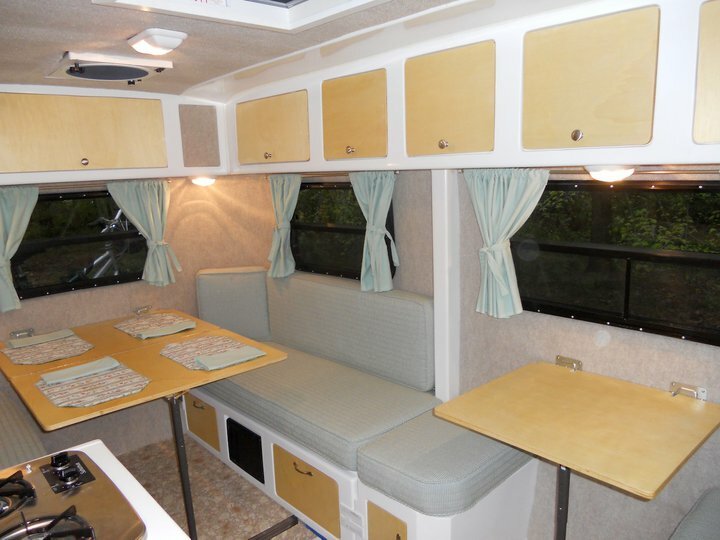 They had joined a T@B online forum to get more info on their new trailer and learn from other experienced T@B owners. Two of those owners were Tom & Ella Brown of Van Wert, Ohio. 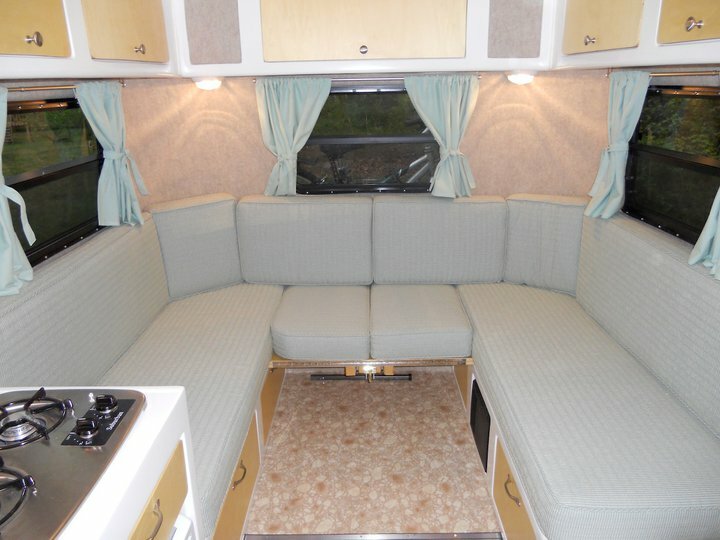 The Browns had been camping for decades and were definitely two of the more experienced T@B owners, as their 2004 model was the 91st of nearly 5,000 total built in a seven year span, buying it new in 2003. 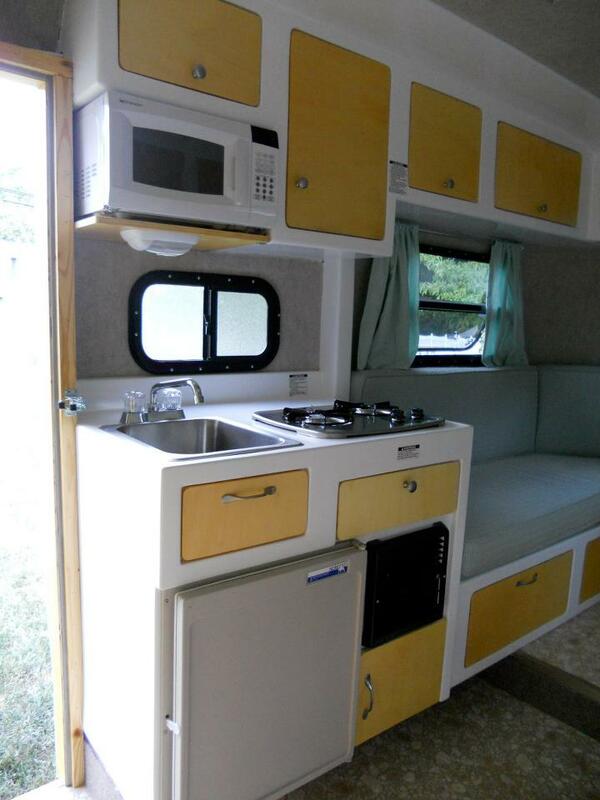 From the time Tom & Ella met in 1978, their list of campers included a Coleman pop-up, an 18′ Scotty, and a 22′ Wilderness. Once their boys had grown and gone off to college, Tom & Ella decided to go smaller and bought their T@B in 2003. 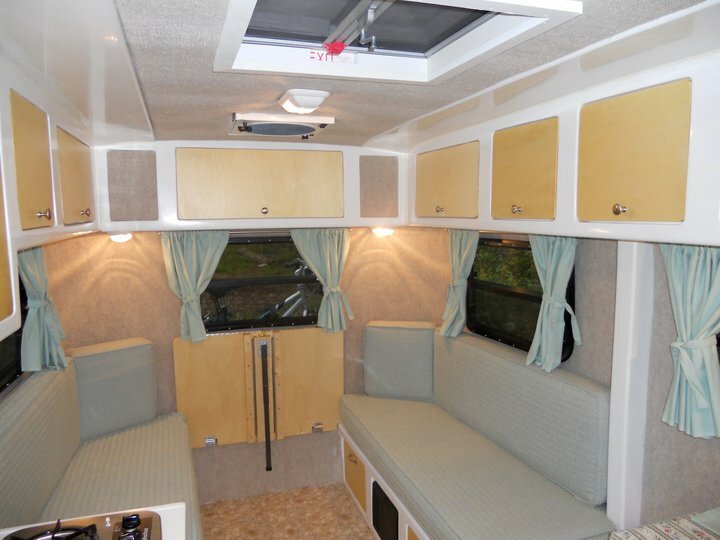 Into the 2011 camping season, the Browns decided it was time for a change, and they would set their sights on their next trailer: an Airstream. They had narrowed their choice down to either a 16′ or 19′ unit, and came across a dealer in Tennessee that carried both for them to compare. 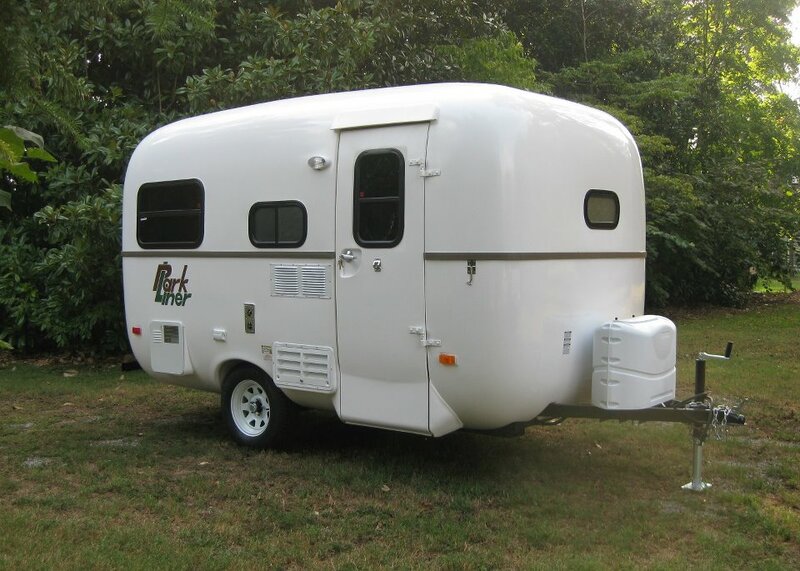 After deciding the extra length of the 19′ was mainly in the bathroom, they decided on a 16′ Bambi. However this wasn’t just any Bambi, they found out. This one has a “sweet” story to it. 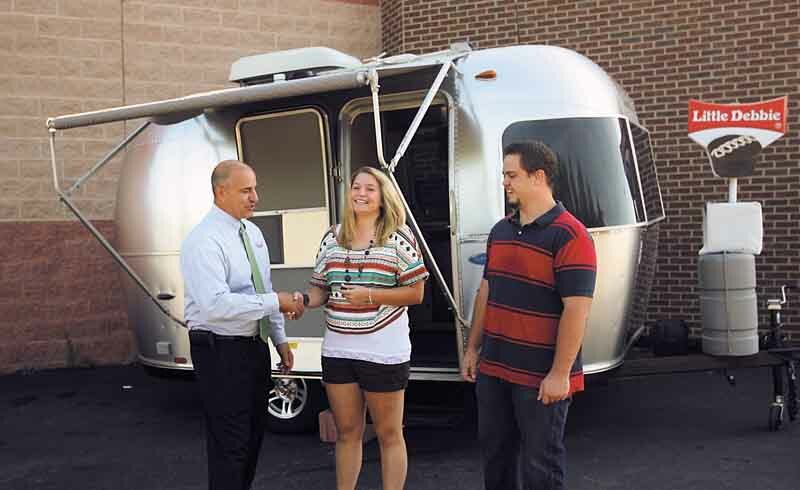 This particular Airstream was a grand prize in a 2011 contest snack maker Little Debbie had called the “Million Smiles Mission”. 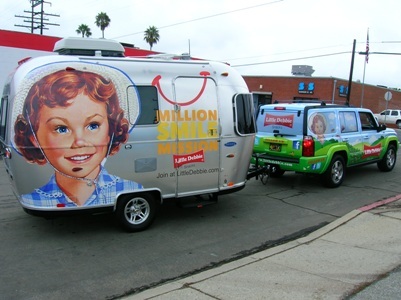 The Bambi was dressed up with graphics and hauled all over the U.S. in 2011 while making appearances and being used to pass out sweet treats along the way. And one lucky winner of the contest from northeast Ohio got to claim her. Ella hasn’t completely pieced together how it ended up on a dealer’s lot in Tennessee. “Somehow, (we haven’t pieced together all of her ramblings yet!) she ended up on Chilhowee RV lot in Alcoa, TN – just a few months old and looking for a forever home”, she says. I would venture to say the grand prize winner probably sold it for cash and the dealer ended up with it in that fashion. 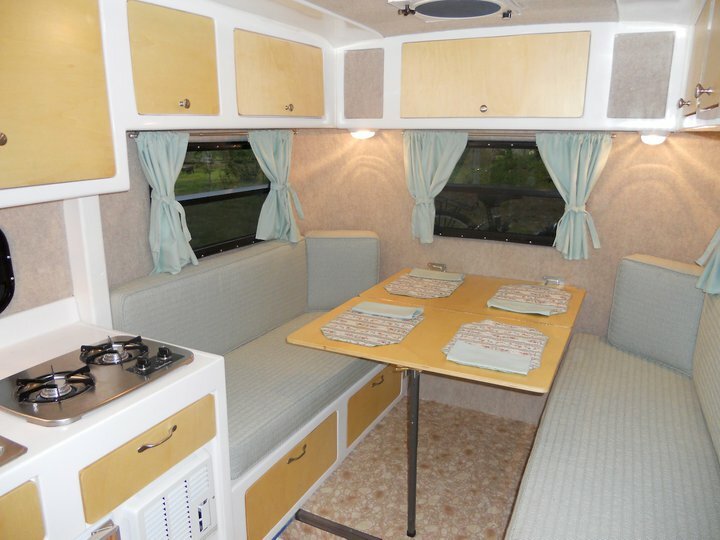 Despite the hoopla surrounding the first few months of excitement their Bambi encountered in its life, it’s now settling into its new life as a weekend warrior in campgrounds around the midwest. But if you do see Tom & Ella and their Bambi (affectionately named “The Silvermine…and His”) at a campground, Ella may just have a nutty bar waiting for you…as well as a smile. Looking for a cure for cabin fever? The National Serro Scotty Organization has planned the 3rd annual Winter Camp-In, set for February 11, 2012. The camp-in is a fairly simple venture, and you don’t even need to hitch up or own a Serro Scotty to participate. 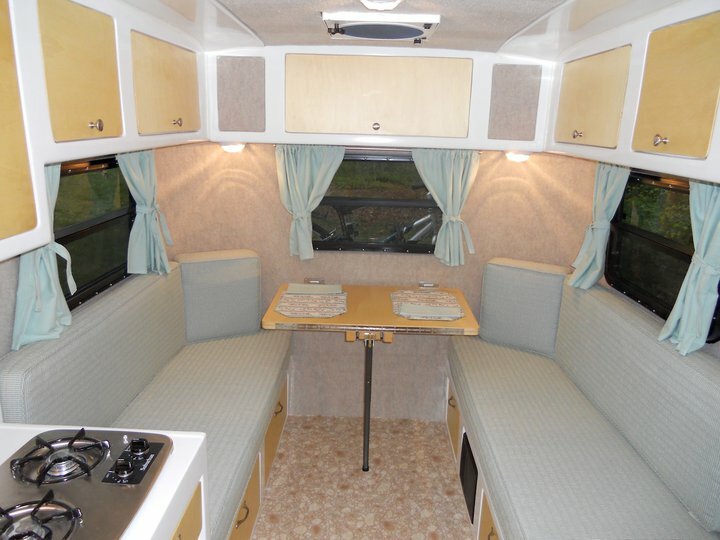 Simply spend the night in your trailer (any brand, shape, or size) or just have a meal in it, take some pictures, and send them off to the NSSO. The 2011 Camp-In accounted for 59 participants from 23 states, 2 countries, and 1 province. 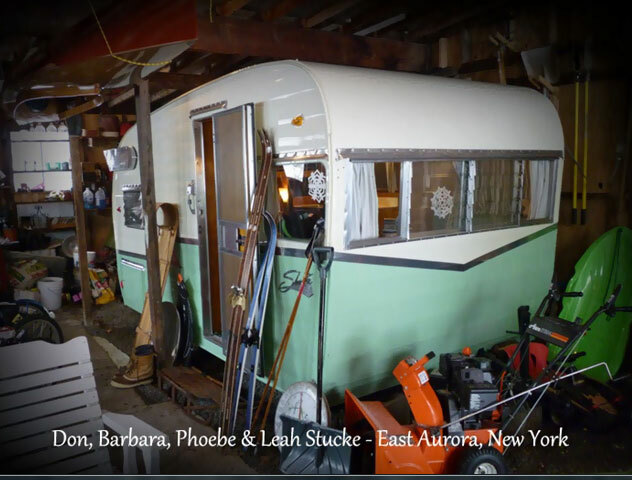 Second Annual Vintage Trailer Winter Camp-in 2011 from Nancy Kroes on Vimeo.